There's a delicious irony in the image of a goofy supersized marshmallow mascot attempting to obliterate New York City. That makes this costume doubly-ironic, because it's based on a towering hulk made out of sugar and gelatin, but it's been reduced to a charming bite-sized package once again. Then there's a third layer of irony because your child is probably far too young to have seen the original Ghostbusters film. 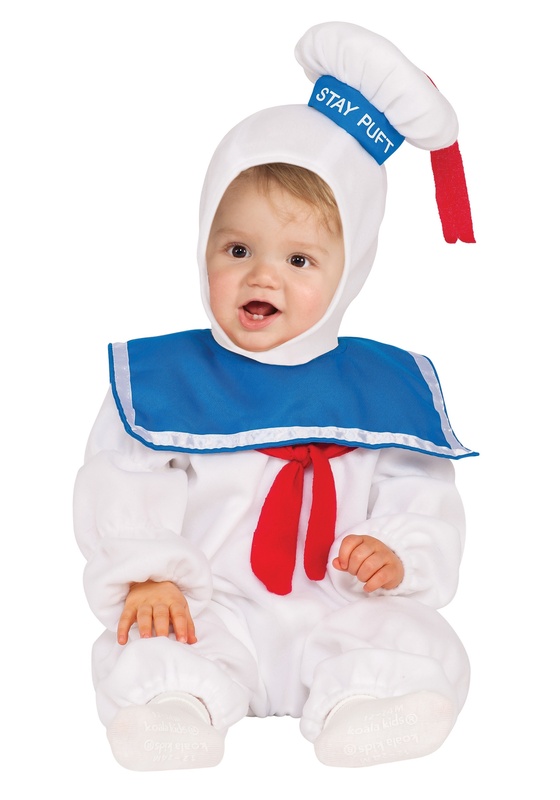 But that doesn't mean they won't enjoy dressing like this sweet little sailor man straight out of the 80s comedy classic! 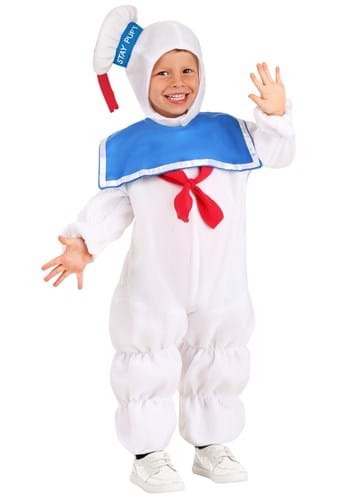 We're guessing that you're not looking at this great costume because you're trying to be supernaturally clever, or because a demigod commanded you to "choose the form of the destructor," so we're not about to pick up the phone and call the you-know-whats. Because a kid wearing this outfit could never destroy New York City, right? Not after what happened all those years ago. Surely there are countermeasures in place by now. Of course, we're not sure that they factored in the chaotic power of sheer cuteness. Because everyone's going to lose their mind when they see the adorable soft-sculpted sailor hat atop your child's naturally-cherubic cheeks and gleeful twinkling eyes. There's just no resisting a rectangular blue bib like that, or the cheery red necktie peeking out from underneath. It's soft, comfortable, and looks almost as tasty as a real marshmallow. For another fun twist, consider dressing older siblings (or even parents) in the iconic jumpsuits of the Ghostbusters! Someone has to save us from this roly-poly menace!